A new dining experience in the city of Seville. An original space, tasteful and where it is possible to taste the perfect combination of traditional cuisine and new trends. For the design of the logo we used an element barely known in popular culture that dates back to the era of Roman empire which is considered the first piece of clutery known "the cochlear". It is an instrument mainly designed for eating shellfish (oysters), as it was spoon pointed finished in the handle with the idea of using it to open the shell and the bucket and spoon. 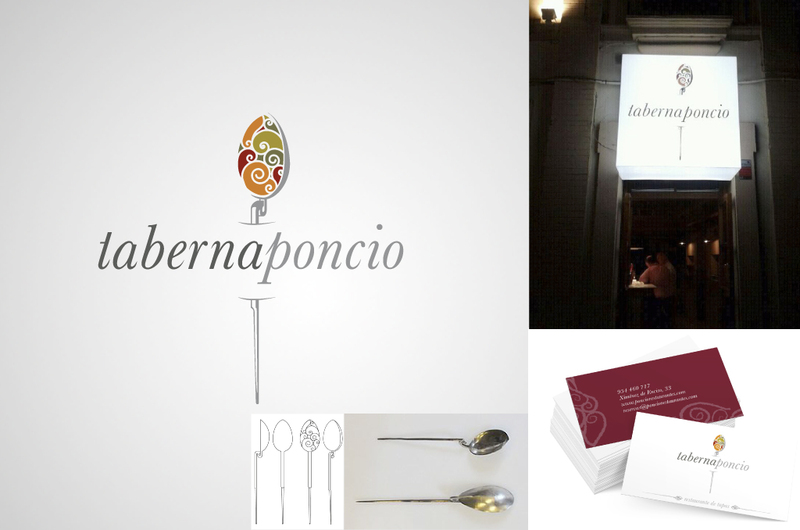 Estudio Rana used the Cochlear as an icon of Taberna Poncio, although filled with flavors and colors inside to reflect the wonderful experience of chef Willy Moya's cuisine.